The broadcaster pulled in 9.1 million listeners for his breakfast show in the final three months of 2018 compared to an average audience of 8.8 million the previous three months, according to the latest figures released by audience research body Rajar. The previous quarter’s drop, the period of July-September 2018, marked the first time Evans had gone below 9 million since 2012. However, despite his last-minute boost in the ratings, Evans was still down in the ratings year-on-year. The new figures from Rajar show a decrease of just over 350,000 listeners for his breakfast slot when compared to the equivalent period in 2017. 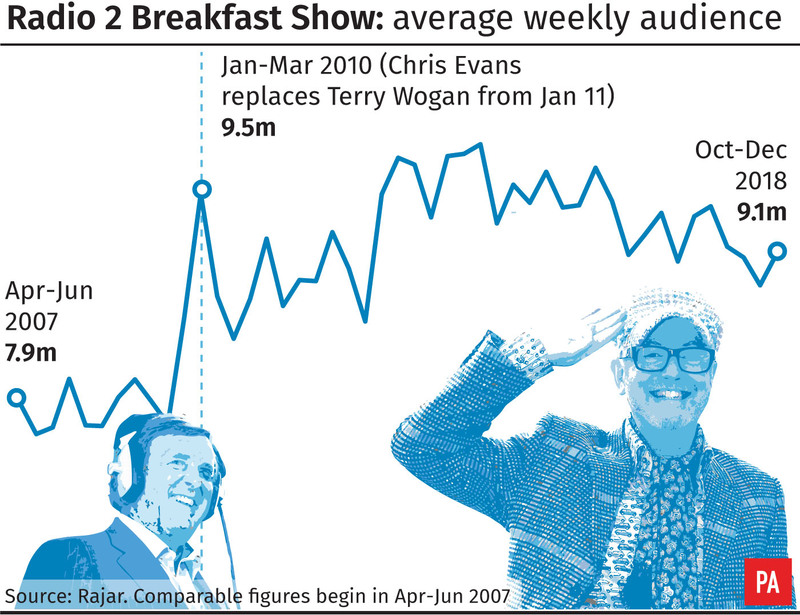 Evans added more than a million listeners to the Radio 2 breakfast show when he took over from Sir Terry Wogan, who was attracting an average weekly audience of just under 8 million before he left the programme in December 2009. Evans left Radio 2 in December after nine years to host a new breakfast show at rival station Virgin, with Zoe Ball taking over the slot in early January. Ball is the first female breakfast show host in the station’s history. Elsewhere at the BBC, Radio 4’s Today programme has seen a dip of just under 350,000 listeners year-on-year, when comparing the fourth quarter of 2018 to the same time period in 2017. There was a slight increase of just under 10,000 listeners in the final three months of 2018 compared to the previous three months. The fall in Today’s year-on-year figures mirror those of Radio 4 as a whole, which has shed just over 750,000 listeners in the past year, pulling in 10.5 million in the fourth quarter of 2018, compared to 11.3 million in 2017’s fourth quarter. The current affairs programme’s year-on-year drop came as host John Humphrys announced he will be leaving after 32 years. Humphrys will step aside from the show – also presented by Justin Webb, Mishal Husain, Nick Robinson and Martha Kearney – in the autumn. Away from the BBC, commercial station LBC has recorded its highest ever reach in its 46-year history. 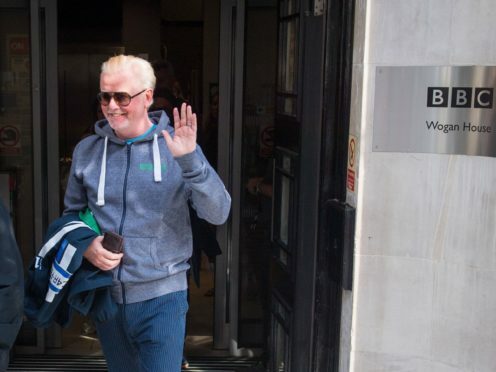 LBC, which now includes former BBC Radio 4 broadcaster Eddie Mair on its line-up, has grown by 188,000 over the past year to more than 2.2 million weekly listeners, the station said.